Hailing from Columbus, Ohio, a new restaurant opened up in Kenwood this month, and it easily made its way onto my favorite tastes list. 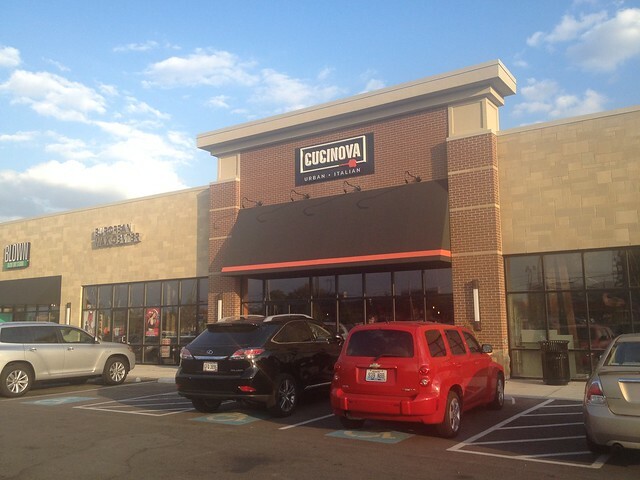 Cucinova moved into the shopping center near Half Price Books on Montgomery Road, and is serving up first tastes of the franchise in Cincinnati's northern suburbs. 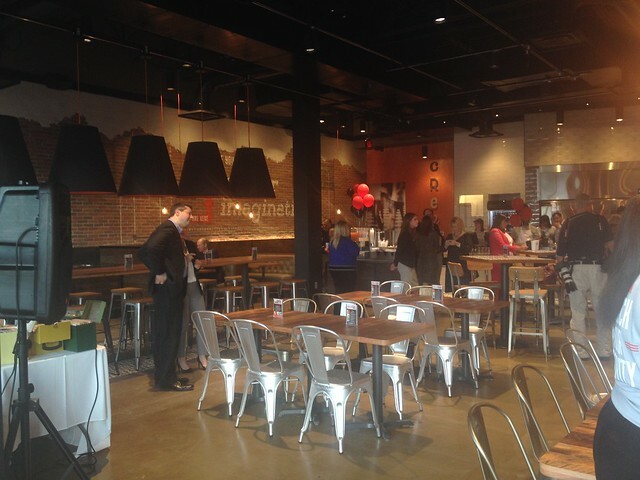 Taking form in the popular walk-the-line, fast casual restaurant (similar to Chipolte), Cucinova cooks up custom creations in the form of personal Neapolitan pizzas, salads, and pasta bowls. 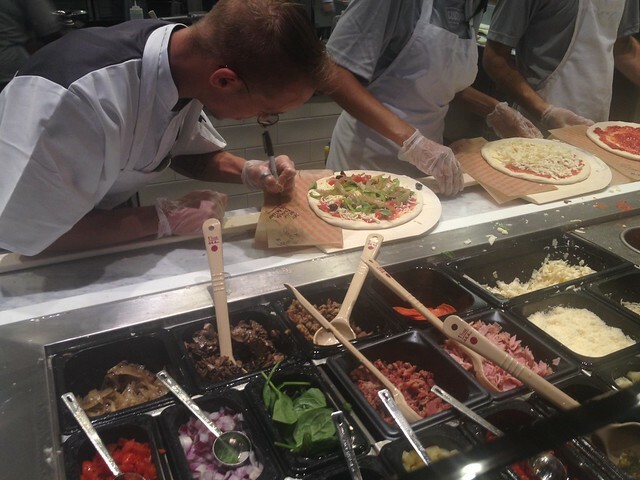 Diners can opt for a chef-created specialty off the menu or build their own meal at each station. 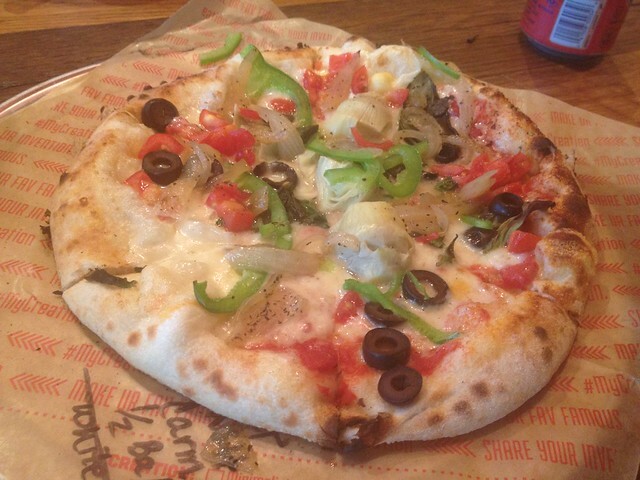 The best part: whatever you choose and however many toppings you pile on, it's only $6.99. I visited Cucinova for a tasting night and sampled all three options, building each myself. I like to stretch the limits with toppings and was curious how the structural integrity of the pizza would hold up -- it succeeded! 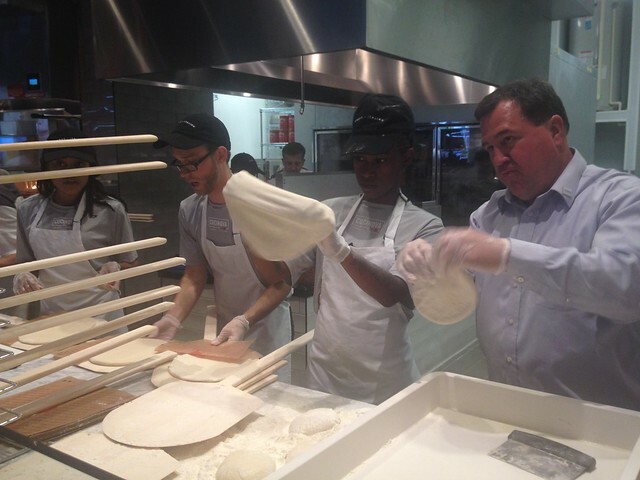 Made with hand-stretched, scratch-made dough, the pizza crust was full, fluffy and baked to perfection. If you like Dewey's pizza crust, you'll love this. Sliced into six pieces, I piled on plenty of veggies, seven to be exact, and opted for half red sauce, half creamy parmasean sauce, drizzled with balsamic. Both were spectacular, but the latter half was easily my favorite. Next, the spaghettini bowl came with just the right amount of pasta and plenty of room to pile on the extras, plus sauce and cheese. 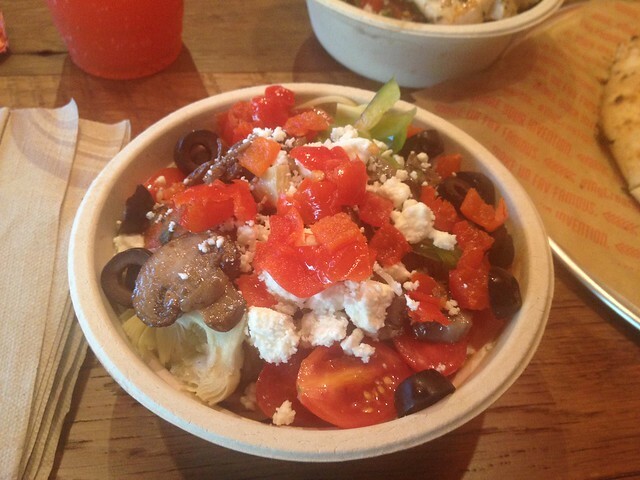 I loved being able to fill the bowl with as much vegetables as pasta to even out the meal. 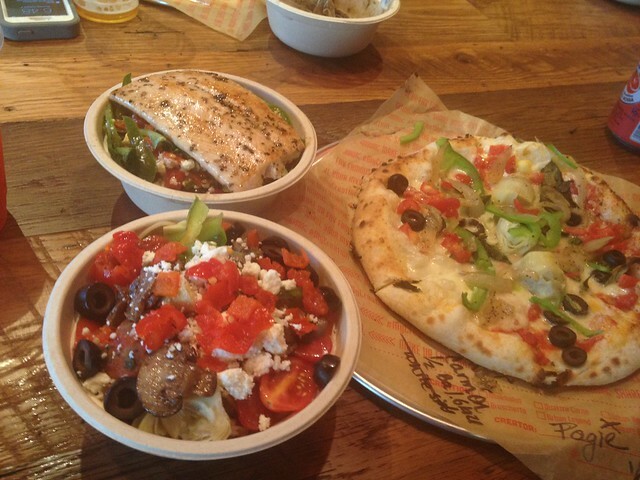 Both the pasta and salad come in two sizes, small and large. The small was the perfect size to complement my other entrees; I could easily see doing a pick two with both a small pasta and a salad for lunch. I also built a salad with just as many veggies heaped on top of the lettuce, plus two kinds of cheese, and a plank of salmon. I'm pretty picky about ordering fish from quick service restaurants, and this one exceeded expectations. The salmon was fresh and juicy, not frozen and reheated, and flaked apart as if it were straight from the sea. I never thought I would pick a salad over pasta or pizza, but this was by far my favorite thing of the night -- and the bowl that I emptied first. I'm giving away a $25 gift certificate to the restaurant to one lucky winner! To join, leave a comment on our Cucinova Facebook post and I'll pick a winner October 31! Now that's a Halloween treat everyone can enjoy.